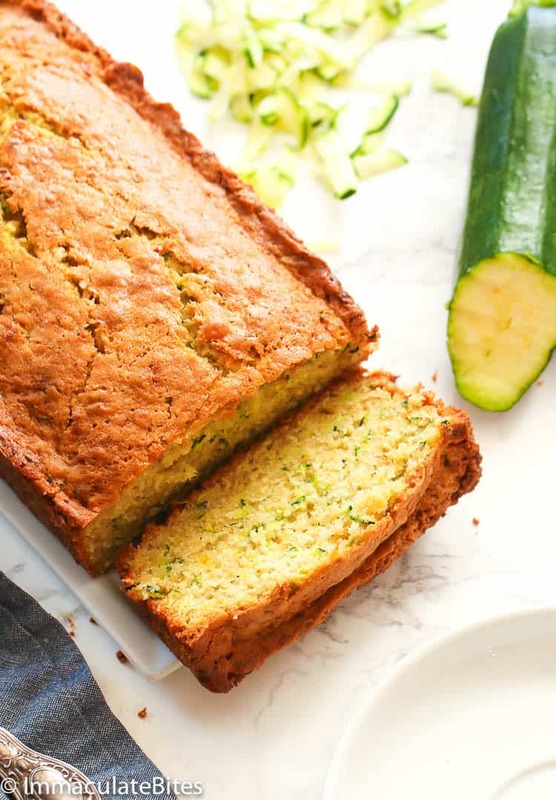 Zucchini Bread – delicious, moist and slightly sweetened quick bread with a vibrant touch of lemon and healthy bits of grated zucchini. It comes together easily using simple baking ingredients. No yeast needed! 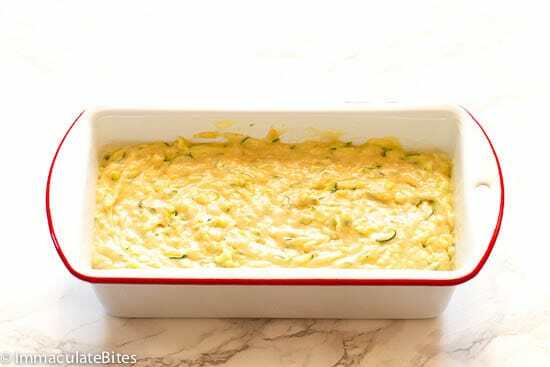 I used to despise zucchini before, but when I tried preparing it as zucchini boats…jeeeez…I can’t help but look forward to all the summer zucchini recipes. 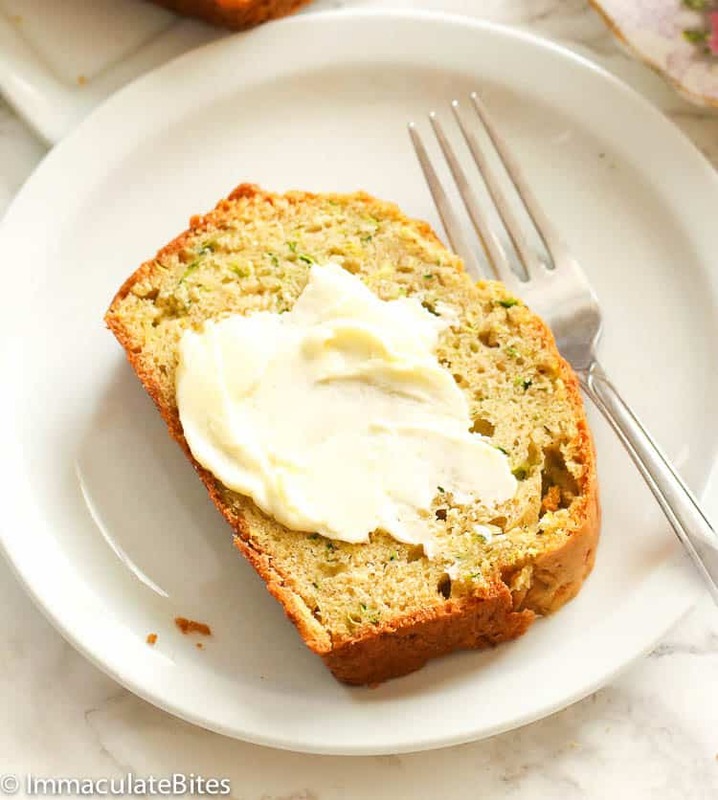 And now, my favorite obsession using zucchini is this super easy Zucchini Bread. I don’t want to assume here that adding zucchini makes this bread healthy. Yes, it’s not healthy, but it’s a great way to use up all those zucchini from your garden especially during this season. For those who aren’t familiar with zucchini, it also goes by with the name marrow, baby marrow, courgette or courge in other parts of the world. In a culinary context, zucchinis are referred to as vegetables and are usually cooked as a savory dish. But botanically, it’s a dark or light green fruit with a delicate flavor. 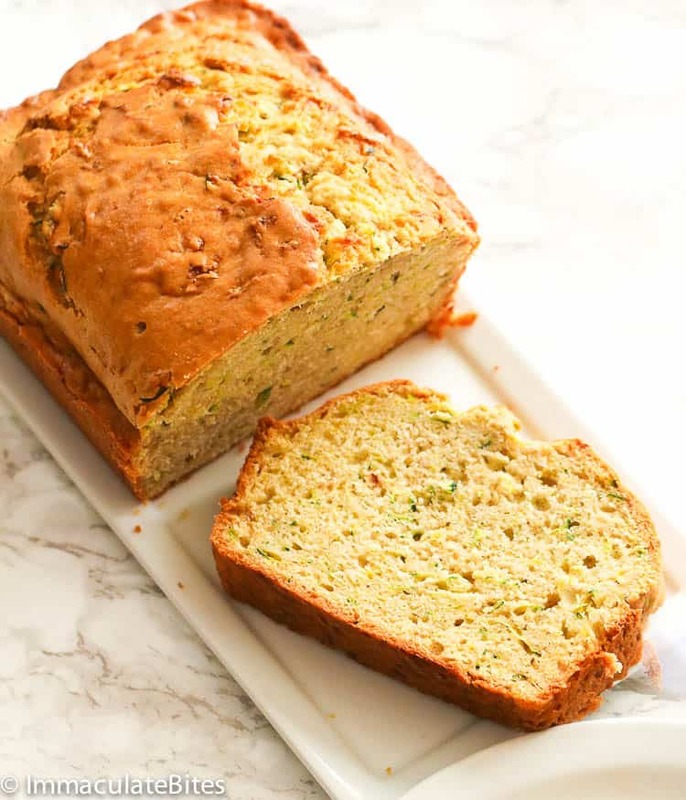 You don’t actually get to taste the zucchini in this bread, but it makes this quick bread extra moist like what grated carrot would do to a Carrot Cake. How To Make a Healthy Zucchini Bread? 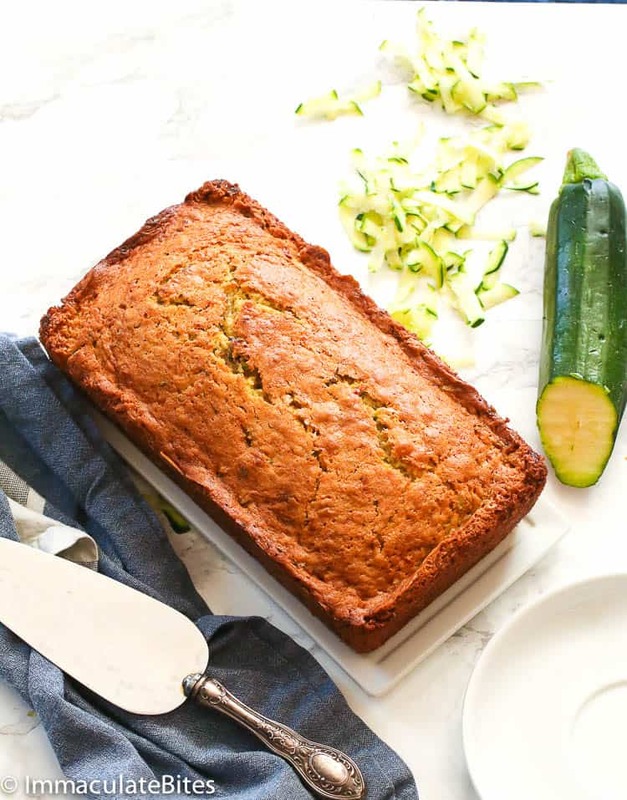 While this recipe is not specifically written for a healthy zucchini bread, you can make certain adjustment to make it a little healthier. Although, just a heads up, I would like to remind you to use your best judgement when adjusting this recipe. For a healthier Zucchini bread, you can replace the other half of all-purpose flour with whole wheat flour, replace oil with unsweetened applesauce and replace sugar with honey. But if you’re unsure on how to go about it, I strongly suggest you stick with the recipe for now and adjust on your next attempt one at a time. 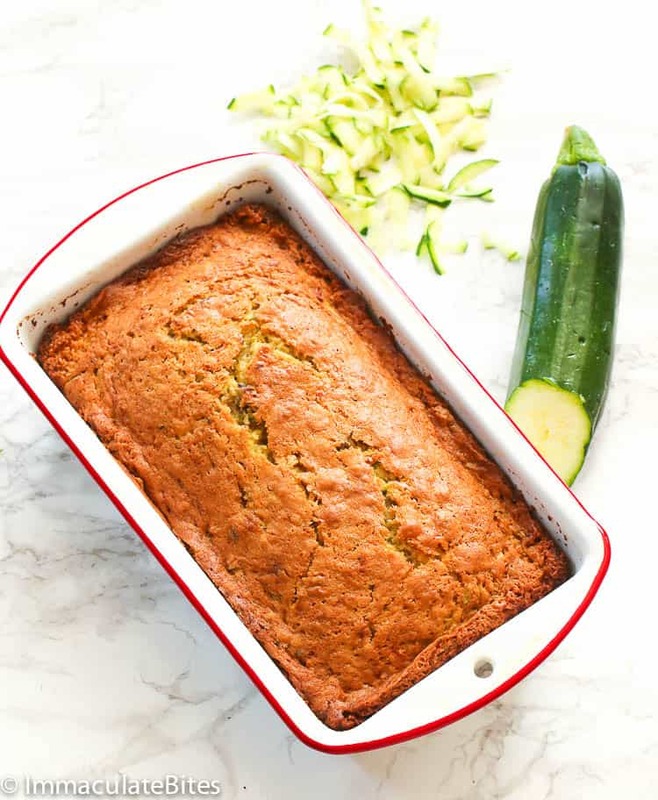 I can guarantee you though that this moist Zucchini Bread doesn’t disappoint! How Do You Make Zucchini Bread? This is the part that you will love the most. It’s almost as easy as a mix-and-dump kind of bread. No rolling out or kneading required – exactly what I want when I crave for a warm bread for a busy morning. 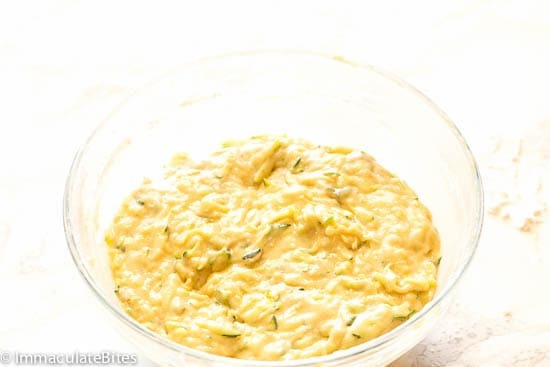 You just have to prepare the ingredients including the grated zucchini. Then mix all the wet ingredients in another bowl. Add the dry ingredients to the wet ingredients and stir to fully combined. Pour the batter into the prepared loaf pan and pop it in the preheated oven. As easy as that! Perhaps the part which requires most for your time could be grating the zucchini part. 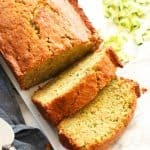 Do I Need to Peel Zucchini For Bread? In grating the zucchini, you have to use the larger side of the grater (not diced or chopped zucchini). We want those shreds of this healthy goodness in every bite of this quick bread. If you notice that your zucchini is too watery, you can squeeze up all the extra moisture by placing them in a paper towel lined bowl and pressing the top with an additional paper towel. Can I Freeze Zucchini Bread? Quick breads are great recipes to freeze up. Before freezing this Zucchini Bread, make to sure let it cool down first and wrap it in plastic wrap and in aluminum foil. Freeze it up for up to a month. When ready to serve, just defrost it before slicing. What Else Can I Add In A Zucchini Bread? Go with whatever rocks your boat! Zucchinis have mild flavor, so won’t need to worry if it would blend in with other ingredients, as far as what I’ve experienced. Looking for More Quick Bread Recipes? 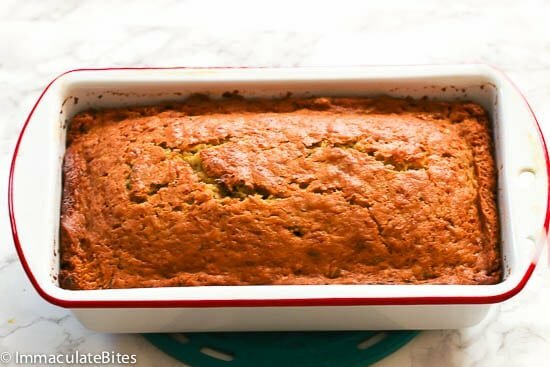 Store any leftover Zucchini Bread in a container and keep refrigerated for up to 5 days. You can store it at room temperature for 2 days, but just to be sure, just place it in the fridge. Depending on your oven’s heating capability, if you see that your loaf is browning too much on top, place a tin foil on top of the bread until they’re finished baking. Before freezing this Zucchini Bread, make to sure let it cool down first and wrap it in plastic wrap and in aluminum foil. Freeze it up for up to a month. See healthier options above in this post. 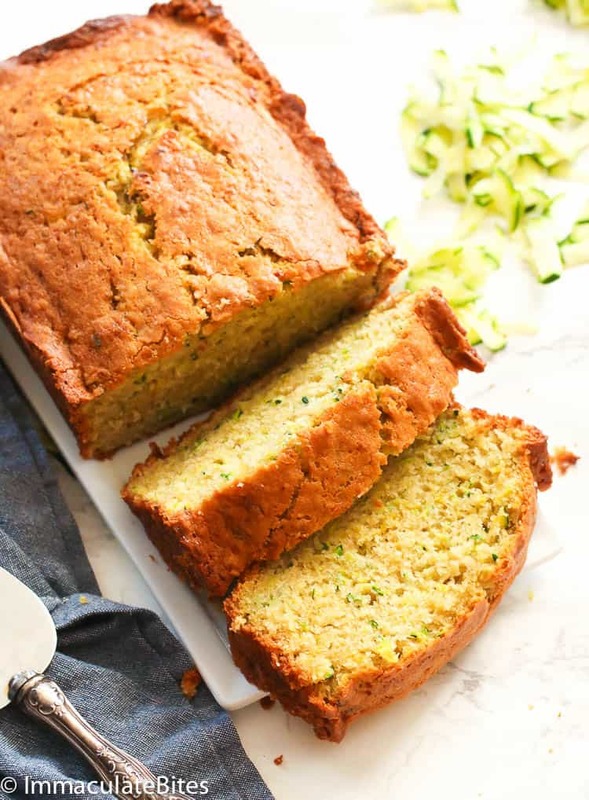 Zucchini Bread - delicious, moist and slightly sweetened quick bread with a vibrant touch of lemon and healthy bits of grated zucchini. It comes together easily using simple baking ingredients. No yeast needed! Preheat your oven to 350°F. Grease a 9x5-inch loaf pan with nonstick baking spray and set aside. 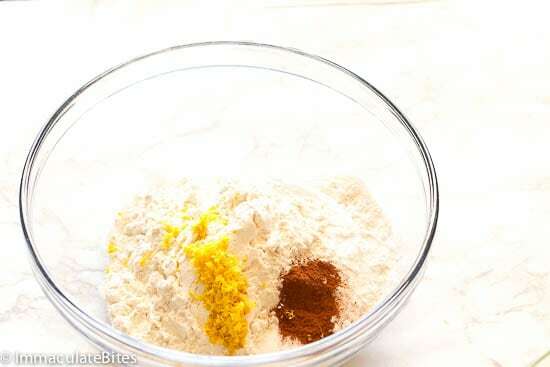 In a medium bowl, whisk together the flour, baking powder, baking soda, lemon zest and salt. Set aside. 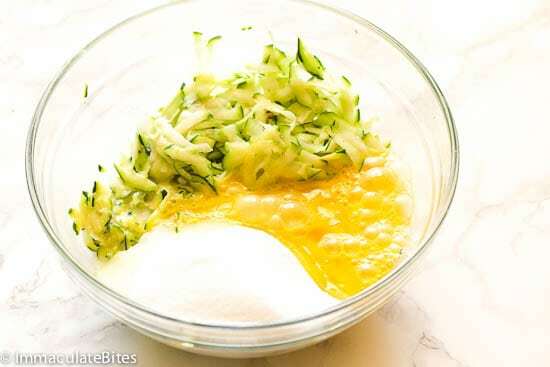 In a large bowl, add the eggs, sugar, melted butter, oil, vanilla extract, and grated zucchini. Stir until smooth and sugar dissolves. Add the dry ingredients into the wet ingredients, and stir until fully combined. Do not over mix. Pour batter into prepared loaf pan and bake for 50-60 minutes, or until a toothpick inserted into the center of the bread comes out clean. Remove the pan from the oven and set on a wire rack to cool for about 10-15 minutes. Carefully remove bread from the pan. Let the bread cool before slicing. Cut into slices and serve. Depending on your oven's heating capability, if you see that your loaf is browning too much on top, place a tin foil on top of the bread until they're finished baking. Preheat your oven to 350°F. Grease a 9×5-inch loaf pan with nonstick baking spray and set aside. 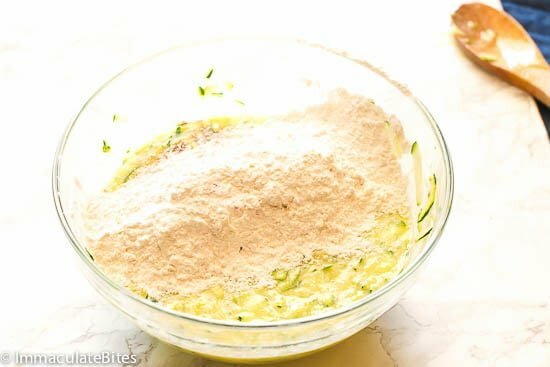 In a medium bowl, whisk together the flour, baking powder, baking soda, lemon zest and salt. Set aside. Add the dry ingredients into the wet ingredients, and stir until fully combined. And bake for 50-60 minutes, or until a toothpick inserted into the center of the bread comes out clean. Remove the pan from the oven and set on a wire rack to cool for about 10-15 minutes. Carefully remove bread from the pan. Let the bread cool before slicing. Cut into slices and serve. That sounds amazing! Thank you for sharing. Thank you for sharing. That is spectacular, indeed. Sorry to say the amount of flour and sugar in this recipe makes it a very high carb, and high calorie recipe. I would not sell it as healthy even if it feeds the carb addictions. 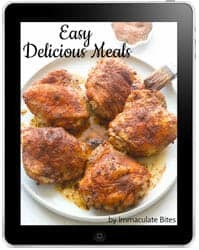 My suggestion is to explore paleo and keto recipes for much better nutrition and health. Thanks for sharing your thoughts. Please see part of this post “How to Make A Healthy Zucchini Bread” for healthier substitutes for this recipe. Yes, please. Can’t wait for you to try it.